I'm heading to BookExpo! So exciting! But as an introvert, I have some obstacles to contend with. Here are my thoughts + survival tips! I'm on a train to NYC for BookExpo, which I attend each year for my day job. BookExpo is the biggest publishing conference in the US, and it's exciting to attend both as someone who works in publishing AND who wants to become a published author. But I'm very much an introvert. 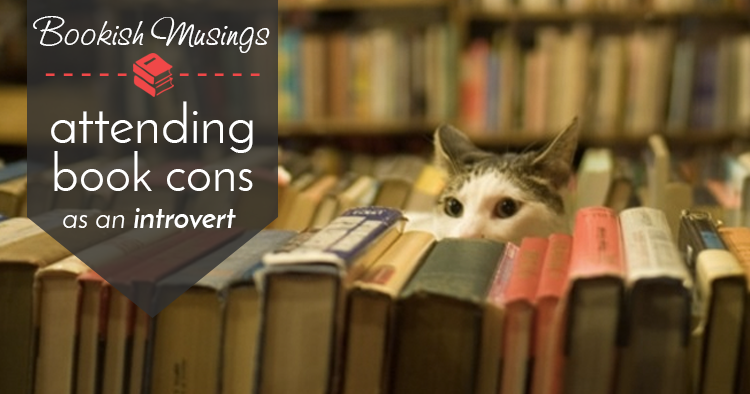 There's nothing wrong with being an introvert — I love my couch time with my husband, cat, and books — but it does present some obstacles when forced into crowded social events like BookExpo! I don't have any book updates to share with you quite yet... I recently finished revising the book I signed with my agent with, and have started outlining my next YA thriller. I'll let you know if/when I have any fun news to share! If there's any sort of content you'd like to see on my blog in the future, please reply and let me know. I'd love to hear from you. Have a wonderful week! P.S. Would any of your friends find this useful? Click here to forward this post to them!